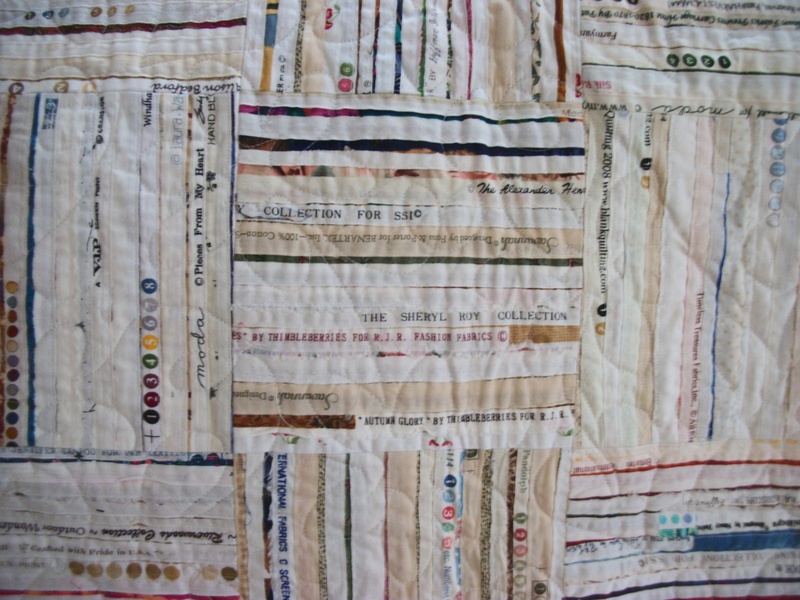 Linda Satkowski is, also, a fellow Coastal Quilter here in Maine. Like me, she loves to piece. 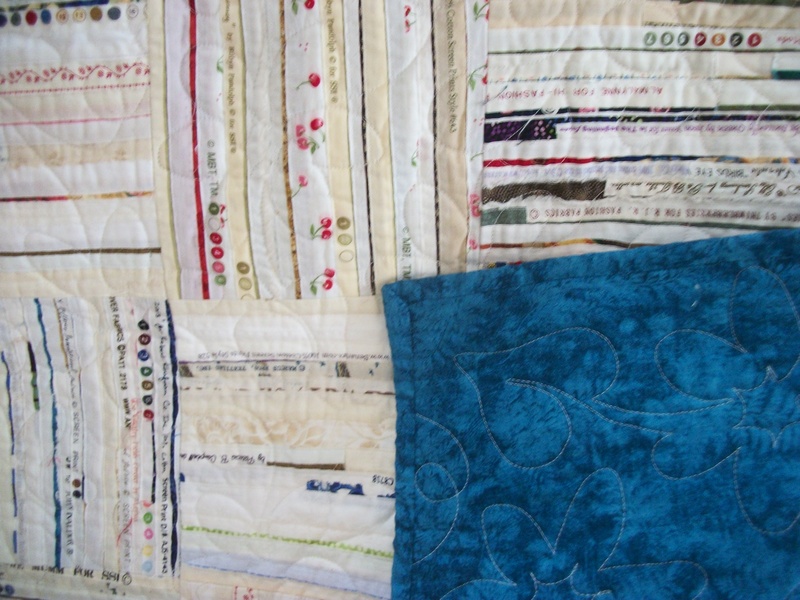 When I posted recently about finishing my quilt using selvedge edges, she wrote me that she, too, had a selvedge quilt. Oh my goodness!! How cool is that! So, of course I had to go see it (and her)! 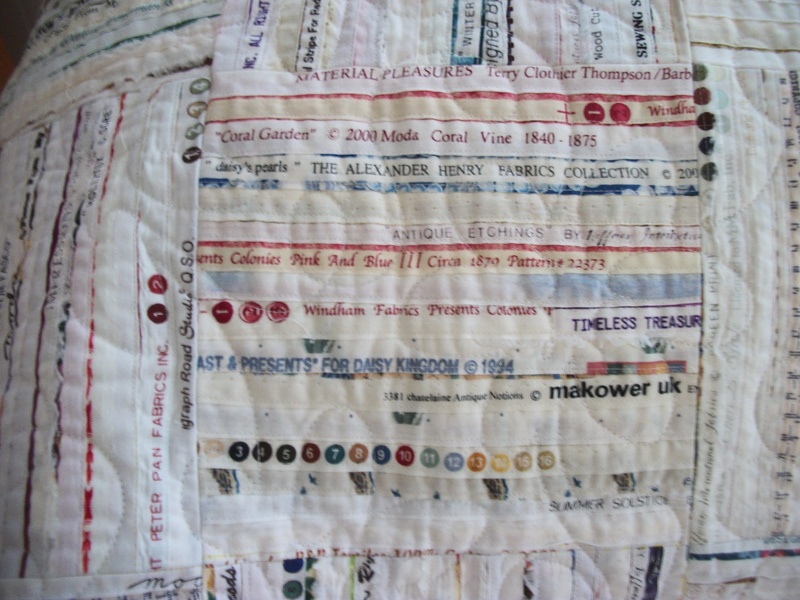 Here are the pics I took of this amazing quilt–which is soft as butter, by the way, and has been washed too. Here it is doubled on a couch–so it’s a great lap size. The blocks look to be about…?? ?…7 inches? 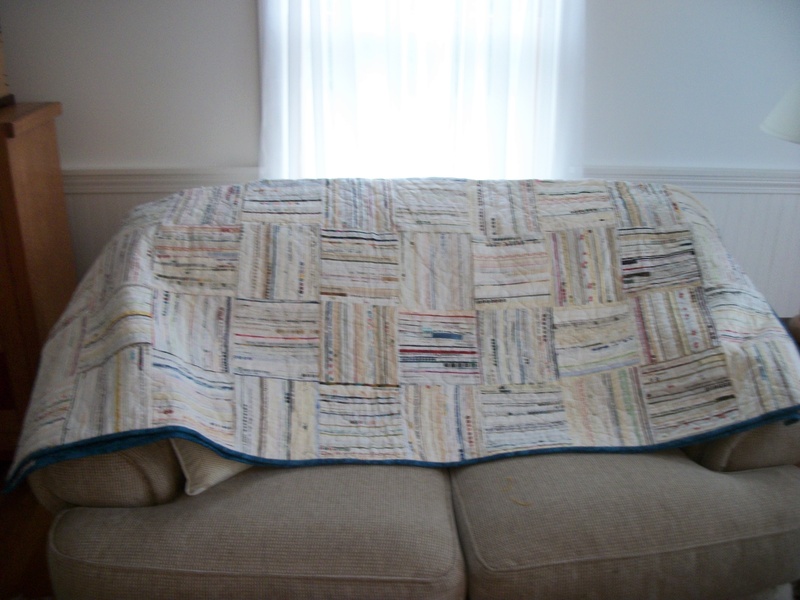 Linda used a muslin backing–which has not made the quilt heavy at all. Note that she has used some blank selvedges as well as those with writing or colored dots. Linda tears about 1/4 inch off the main selvedge. (I’ve been tearing up to two inches in order to have at least 1 1/2-inches of fabric for strips if I don’t use the selvedge. 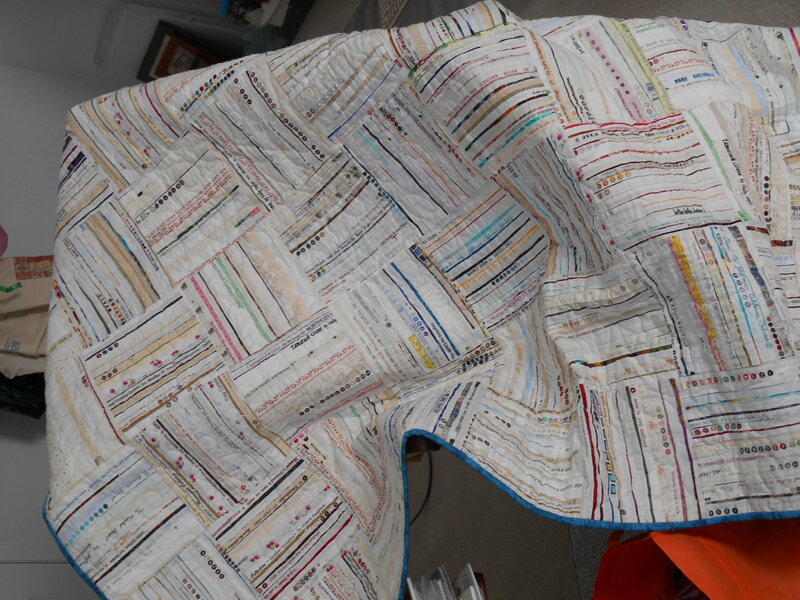 So, a project like this would really lend itself to Bonnie Hunter’s leader/ender projects–where you add to blocks while sewing on another project so you don’t have to cut thread.